When we imagine taking a shower, most of us probably picture an experience of relaxation: the hot steam opening our pores, washing away the grime of the day, allowing us to step out refreshed. Of course, some showers are quick and militant. These may not be as fun, but can still be refreshing. When it comes to a shower, what in the world could there be to fear? No, I’m not talking about serial killers lurking outside the shower curtain (though thanks to Alfred Hitchcock, many people have this phobia). I’m talking about a chemical compound that’s added to many municipal water supplies, which may be endangering your health: chlorine. Most people associate chlorine with swimming pools, and it’s a fair association — those places stink of the stuff. However, chlorine is also found in the tap water in many regions across the United States. Even if you filter your tap water before drinking it, chlorine (and its byproducts) can enter your body through your skin when you shower. Additionally, when the water temperature is hot, chlorine creates chloroform gas, which you then inhale. Your skin is the largest organ of your body, and it is highly porous and absorbent. It may be possible to take in more chlorinated water through your skin during a hot bath or shower than through drinking it. So, if your home water system is treated with chlorine, and you take baths or showers without some sort of filtration system specifically designed to weed out the chlorine, you’re chronically exposed. It’s not just chlorine itself that you have to worry about, either. Though chlorine alone has its own dangers (more on that in a bit), it also combines with organic compounds, such as the sweat and oil on our skin, to produce trihalomethane byproducts, commonly referred to as THMs. The levels of THMs produced when you take a hot bath or shower are rather low, however, over time, these carcinogens could have increasingly detrimental effects. There is a significant body of research linking chlorine and its byproducts, including THMs, to adverse health effects. The following are just a few studies which have examined this topic. 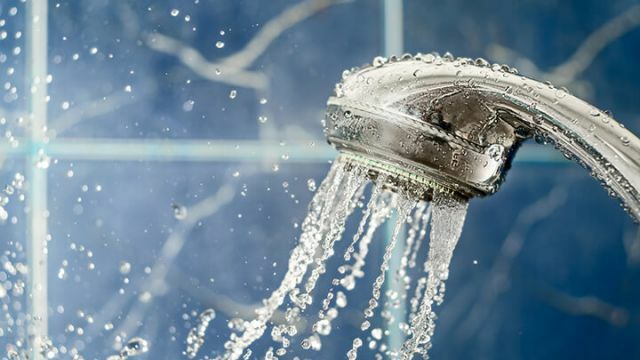 Even if the exposure to these chlorine byproducts could be lessened by taking cooler showers, and shorter showers, the fact that a cancer risk is present at all is significantly worrying. Two very well-known health risks of chlorine exposure are respiratory trouble and irritation of the skin and eyes. You may feel your eyes burning after swimming in a swimming pool, or after taking a shower if your water is significantly chlorinated. People who have asthma or allergies may notice their symptoms worsening. Sometimes these effects are mild, but in some individuals, they may be serious. During a 2007 study published in the European Respiratory Journal, researchers tested the association between swimming pool employees in the Netherlands and instances of respiratory complications. For the study, questionnaires were provided to 624 swimming pool employees across 38 facilities. The researchers also took samples of chlorine levels in these facilities. Although these associations were found in swimming pool employees who were around high concentrations of chlorine on a daily basis, it is not far-fetched to speculate that they may occur in people who are continuously exposed to chlorinated tap water in their showers and baths. This may be especially dangerous to people who have preexisting respiratory allergies or asthma. While this study examined drinking chlorinated water, and not bathing in it, many people (especially children) swallow at least a bit of water every time they bathe. 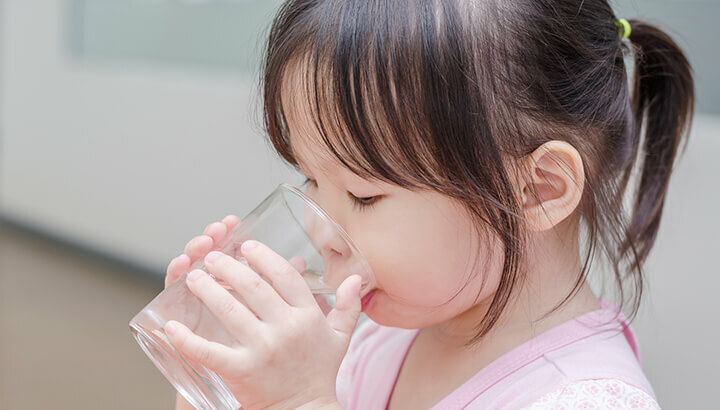 A study published in the year 2000 in the Journal of Orthomolecular Medicine linked chlorine exposure in tap water to a variety of ill health effects. These included worsening dandruff, weakened immune system, destruction of beneficial gut bacteria, potential artery damage, carcinogenic byproducts and an increased chance of miscarriage. Furthermore, exposure to chlorine may lead to hormonal disruption, digestive disturbances including bloating and indigestion, and eye infections such as conjunctivitis (a.k.a. pinkeye). Yikes. From this research, chlorine exposure from showering certainly appears to be a very real threat. First of all, you’ll want to find out if your home tap water is indeed chlorinated. This can be accomplished by making a quick call to your city, town or county water treatment plant. This information may also be available online, but calling may be beneficial, as some websites may not be updated frequently. If you look online, make sure dates are current. If your area does use chlorinated water, there are several steps you can take. You definitely don’t want to be drinking this stuff; installing a dechlorinating water filter on your taps is a great first step. Make sure to read reviews and compare units. Also, it’s key to find out how often these filters need to be replaced, and how they need to be maintained. For your shower, you can install a dechlorinating shower filter. There are many on the market, so it’s worth it to compare and check reviews on these, as well. For baths, there are bath dechlorinators available, such as bath ball dechlorinators, which hang underneath your faucet and remove the chlorine when the water enters the filter. Remember, not all filters remove chlorine from water, so you want to make sure that the filter you choose is effective for this purpose. It may seem like a sizeable investment, but the best way to ensure that all of the water in your home is chlorine-free is to install a whole house dechlorination system (WHDS). These water systems are typically installed in your garage and use carbon to remove chlorine from all of the water in your home. Once this system is in place, you’ll know that all of the water coming out of your taps, shower and bath spouts is chlorine free. Even the water coming out of your garden hose spigots will no longer contain chlorine — great for the plants. While there are many WHDS systems available, ones which use coconut shell-based carbon are sometimes recommended because they do not degrade as easily as other carbon sources. 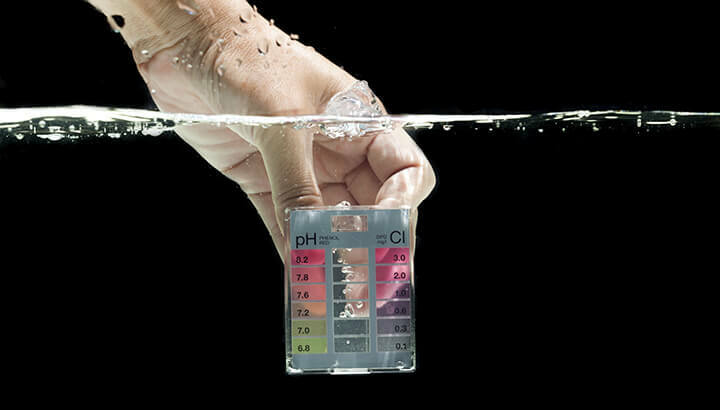 If you do your research, you’ll find the best dechlorination solution for you and your family. Then, there won’t be any more reason to fear the shower — though I understand if you still need to check the bathroom for serial killers now and then!